What are the Core Hardware Technologies of Drones? 1.Carbon fiber compodite material and PP injestion moulding sheel are used for main body, with a good tenacity and Anti-fall ability. 2.Suitable light volume for both outdoor and indoor flight, Module design has been lightened. 3.Using the new BEHELI-S four in one ESC, which makes a better flight linearity. 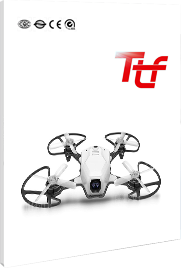 4.Adopting multifunctional module design, F3 flight control and 5.8G image transmission have been integrated. PP environmental protection material with good toughness and resistance to fall with three colors to optional. Precision CNC aluminum alloy shell, anodic oxidation treatment. 420F stainless steel shaft, 2.0mm and HRC 50 hardness, QA anaerobic red pure copper enameled wire, working under 155-degree C. Unique production process, balance test< 2 mg. 0.2mm laminated process stator, imported from Kawasaki, Japan. With 45H ND-Fe-B magnets, working under 120-degree C.
High quality Japan imported NMB bearing. 304 stainless steel U-shaped retaining spring. Leakage test on each product. High TG PCB board, blind vies, copper thickness reaches 30Z, with a super good discharge capacity using 21 Japanese TDK capacitors, Toshiba’s top MOS tube. Flight support 4S maximum voltage, single ESC can reach 40A maximum electric current. The processor adopts EFM8BB2 and independent motor driver chip. Comprehensive performance is very excellent, ESC performance ranks top level in the market. PCB board supplier is the same with DJI’s, with very excellent process performance. Omnibus F3 integrated flight controller, humanized design, emitter can be turned off to avoid interference when multi-player. Direct matching BLHELI-S 20 A four in one ESC module, installation space has been increased, siring problems have been solved, and safety is improved. With ultra-high reduction and ultra-wide dynamicity, the beautifully colored high-definition camera 600TVL exceptionally performs under the lowlight and backlight surrounding, and capable of perfectly adapting to complicated environments.